"My hair won't grow." "It's dry and brittle." "I just don't have good hair." "I wish I had her hair." "Natural hair isn't for everyone." -----Stop making excuses and follow these 10 steps for fabulous natural hair. 1. Acceptance----The natural hair journey should be not be taken lightly. It's a journey to discovering your hair's true potential and how it was made to look. The greatest misconception of ladies that undertake this journey is the fact that they think their hair will look like some of their natural hair icons (bloggers/vloggers). FALSE: Your hair is just as unique as you. As soon as you accept this fact it will make your journey a lot less stressful. 2. Detox-----Due to the dry nature of natural hair it requires a lot of maintenance including products. 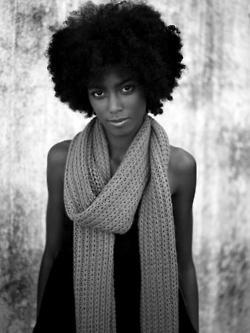 After daily moisturizing, wash n go's, gels and co-washing it is important to truly cleanse the hair. A lot of naturalista's only co-wash--although this should be incorporated in your regimen for those with excessive dry hair it should not be the "end all and be all" of cleansing. A clarifying shampoo should be used to remove product buildup, chlorine, sweat and debris. 3. Diagnosis----You should be an expert on your hair needs. Hair is one of a women's most precious commodity and yet we've trusted its care to the hands of stylist. There is nothing wrong with going to the salon and relying on your stylist for advice but you need to know your hair better than anyone else. If your hair is breaking, brittle, shedding or falling out then you need protein. Include more protein in your diet, do weekly protein deep conditioners and stick with a moisture based conditioner. 4. Home Remedy---There is nothing like some good ole' home made chicken soup to help with the common cold. In the same way, chicken soup heals there is nothing like good old ingredients to give your hair that added boost! Mix egg, olive oil, mayonnaise for an old fashioned hair home remedy. 5. The Root of the Problem----Healthy hair starts with a healthy scalp. Give your scalp mini massages during the day--added benefit: It feels good and stimulates the scalp= hair growth. Rubbing your scalp with oils like jojoba and sitting under a steam dryer can work wonders for opening up the pours and allowing nutrients to deeply penetrate. Rinse scalp afterwards. 6. Keep a Balanced Diet--Healthy hair starts with a healthy scalp. A healthy scalp starts with a healthy body. See Healthy Hair Diets for DEETS. 7. Magic Touch---Sometimes hair straightening can equal heat damage. With advanced technology frayed ends from heat are no problem. Keratin mends frayed ends by fusing them back together or infusing damaged cuticle. 8. Stay Strong---The natural hair journey can be hard at sometimes. 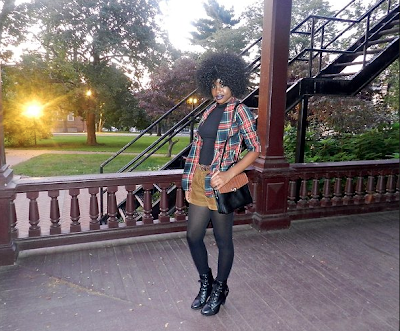 Stay strong by switching up your style and experimenting with new looks. If your natural hair is getting boring try a curly sew in or search for YouTube style ideas. Color always seems to bring life to boring hair! 9. 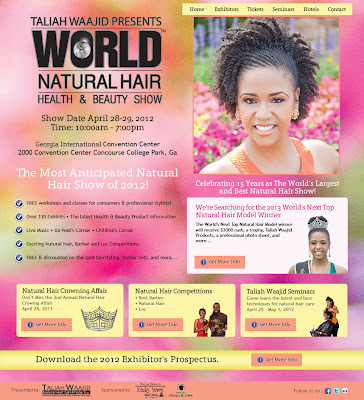 Maintenance---Be consistence with your hair regimen and keep a natural hair diary. Daily moisturizing, weekly cleansing and bi-weekly deep conditioning….KEEP TO IT. Photos are great way to track your journey. 10. Seasons Change---The winter season is upon us---Christmas lights, snow and turkey!! !----Due to the lack of humidity in winter, hair is drier. Upgrade to a water-based conditioner by mixing in natural ingredients such as shea butter or jojoba oil. Post Inspired by EBONY Magazine "Hair Rehab"
Hey Kurlees! It is that time of year. A time when we should BE Thankful for our many blessings. Our friends, family, life, health, job and a sane mind! My Bestie and I (MelissaChanel) have decided to co-sponsored Be Thankful. Be Fly. Beginning November 20th, 2011 you will have the opportunity to enter into the contest for a chance to win The Muppets Mini Nail Lacquers, Kurlee Girls Rock Tee or Coastal Scents 88 Color Make Up Palette. 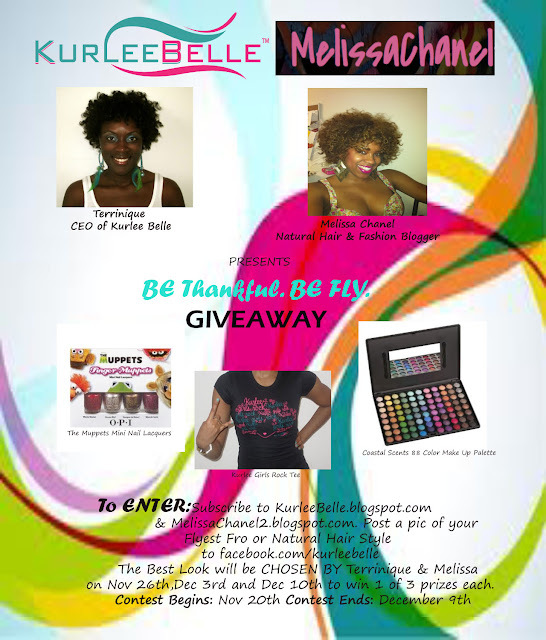 How To Enter: Subscribe to KurleeBelle.Blogspot.com (this blog) and Melissa.Chanel2.Blogspot.com. Then Post a photo of your Flyest Fro or Natural Hair Style to facebook.com/kurleebelle. On November 26th, December 3rd and December 10th---Melissa and I will choose the lucky winner for that week. The winner will receive one of the three prizes. One of the great things about being natural is it's versatility. About a week ago, I straightened my hair for an "oh so needed" trim. At the time, it didn't cross my mind that my new hair do would be met with mixed emotions. Everyone from the cashier at the grocery store to the janitor had an opinion on my new straight look. The most surprising reaction was the difference in opinion of my caucasian male friends vs. black male friends. Many of my black male friends erred on the side of straight. One actually said to me "The natural look was starting to grow on me but I think straight looks better." (I'm thinking--But who asked your opinion tho?) My white male friends were Pro Fro. Many of them asked "Terri--what did you do to your hair?" "The curls are more you." Surprising huh? All along I thought that white men preferred straight hair--well because that's what grows out of their head but to my surprise I was wrong. Even my Asian male friend said to me " Terri--I wish I could grow an afro. It looks so cool. Can I touch it?" My response--"Dave- This ain't no petting zoo." In a Facebook post by Alex Barnett- Comedian and regular contributor to The Coil Review he described his son's (interracial baby) reaction to the fact that he got his dad's (Alex's--white hair) hair instead of his Mom's (Alex's wife--black hair) hair. "You ignoramus. I want an Afro like Mommy. And, it's all your fault, you dumb White guy, that I'm never gonna have one. You and your straight hair, and your melanin-free skin, and your pointy nose, and your socio-economic advantages, and your colonialism. All your fault. Now, I'm just gonna have that weird, 'what kind of hair is that?' hair! I hope you're happy. Now go make yourself useful. Go get us a taxi, 'cause God knows, cabbies won't stop for Mommy and me. Nooooo, because we're people of color. And, we might be trying to do something subversive like, oh, I don't know, get where we're going!" It is truly surprising to me that a lot of black men still can't get down with natural hair. I mean its the same thing that grows out of their head. If you are in an interracial relationship, what does your partner think about your hair? I'm interested to see if my hypothesis that white men are more Pro Fro than black men is true. 1. Daily Moisturizing is key to healthy, shiny and strong curly hair. The hair follicles are home to the sebaceous glands which release sebum that lubricates the strands. In tightly coiled hair, the sebum has trouble getting to the ends, which results in dry hair. To compensate for this lack of moisture it is essential to use a daily moisturizer to prevent dry, brittle eventually damaged hair. 2. Water is the #1 moisturizer. Water penetrates the hair shaft to truly prevent dryness. Water based moisturizers or pure filtered water should be applied to the hair before an oil based moisturizer. Water penetrates the hair and oil seals in the moisture. 3. Cleansing your hair and scalp is key to maintaining a healthy head of curls. Gently cleansing your scalp once a week will remove product build up and debris while awakening the hair follicles. Stay away from shampoos that include detergents like sodium lauryl sulfate, ammonium laureth sulfate, and sodium laureth sulfate. To minimize breakage wash hair in sections. 4. Protecting your ends is key to length retention. Trimming the hair on a schedule ( every 3 or 6 months) avoids damaged ends that results from pulling and styling. If hair is trim regularly it stops split ends from traveling to the root and damaging the entire hair shaft. Your ends are the oldest and most delicate part of your hair. Protect Them. 5. Be gentle when your hair is dry or wet. Bottom line: Always be gentle with your hair. Your hair is at its most vulnerable when it is wet. Before apply styling aids or detangling it is important to use a detangling conditioner and detangling brush when managing wet hair. In addition, never brush curly hair when it is dry. Brushing, combining or pulling dry hair will result in major breakage. 6. Satin and Silk bonnets, scarfs and pillow cases are key to reducing friction. Cotton pillow cases and other harsh fabrics rub against the hair shaft and result in moisture lost and breakage. 7. Deep Treatments should be a part of your biweekly hair care regimen. Rotate between protein treatments and moisturizing/sealing treatments as needed. Deep conditioners that are heavy in butters like shea butter, almond oil or argan oil are good because they contain lots of fatty acids for penetrating the hair shaft. 8. A heat protectant is a must under all heat circumstances. When it comes to naturally curly hair remember that heat is the enemy. Using too much heat can result in permanent loss of curl pattern and brittle strands. Always use a heat protectant when blow drying or flat ironing. If time permits, opt for air drying. 9. Greasing a.k.a clogging the scalp is a NO NO. The scalp produces natural sebum which is secreted to moisturize the hair. Applying grease or petroleum substances to the scalp blocks the follicles and can stunt hair growth. Avoid applying products like conditioners or moisturizers to the scalp. Apply products from root to tip not scalp to tip. The only product that is recommended for the scalp is a sulfate free shampoo which is rinsed away. Fashion Magazines give us the latest on what's hot and what's totally not....The latest deals and how to look like a star on a budget. Once and awhile the Fashion God's at Elle, Vogue and InStyle put together looks that make me think twice--what I like to refer to as----a Do or Dud? The most recent style that I am not too sure about is the Winter Shorts trend. My full hips and thighs maybe too bootylicious for this shorts and leggings pair but it looks uber cute on this chocolate model. Have you tried this new trend? If so, how did you rock it? I Truly Love my Natural Hair: It Is Not Who I am But A Part of The Whole ME. A few days ago I decided to get my hair blown out because I was in need of a major trim. Although, you should get your hair trimmed at least every 3 months or 6 months, whatever your needs, I have to admit I have been a really bad natural hair blogger/naturalprenuer in this department. Seeing that I haven't had my hair straightened in about 18 months (hands over eyes), I had major anxiety while sitting in the stylist's chair. I was anxious because the last time I got my hair straightened it was so heat damage that I had to cut most of it off and I did not want a repeat of this episode. While sitting in the stylist's chair, I kept asking her if she was using a heat protectant and voicing my concern over my hair turning permanently straight. Well she must have gotten annoyed with me because as I was talking about my experience with"heat damage" I saw her and the other stylist in the mirror rolling their eyes. Normally, this kind of behavior would have bothered me but at this particular point in time, I didn't care because this was my hair we were talking about and not just any kind of hair it is my natural hair...and that ladies and gentlemen I take very seriously. The stylist proceeded to blow out my hair with a blow dryer after applying lots of "heat protectant". From the reflective screen on my blackberry, which I like to use as a mirror..I tried to watch her every move while pretending to BBM..She then proceeded to heat up the curlying stove (you know the one I'm talking about--the old school heating tool with iron curlers from back in the day). I swear I started to have heart palpitations...so I spoke up again and asked " Do you have a flat iron? In particular a Chi?" She looked at me and said " Yes I have a flat iron but it will not get your hair straight the way I want it." By this time I am dying slowly and just want to leave (the other hair stylist in the background still rolling her eyes). I let her do her thing and "Viola" my hair was straight again. Although I've worn my hair straight for most of my life I felt strange. Kind of like going back to an ex after you've been broken up for years. At first when I started to date (transition) my natural hair I was frustrated. This was something new to me and I just couldn't understand it. As days and weeks went by we got closer (from you tube videos). I started to embrace those dark black curls and one day I woke up and was in LOVE. Now that my hair is temporarily straightened I know that this is not the one for me. To my surprise, since my hair has been straightened a lot of my friends/associates/family members have been eager to tell me what they really thought of my natural hair. My aunt "Thank God, you got a perm!" My cousin " Oh your hair looks really nice, now you look professional." A guy friend " Girl you look so much better, straight hair really suits you." A co worker " Don't you ever curly your hair up like that again. This straight hair makes you look like a supermodel." I had never noticed that everyone around me had such strong opinions of my hair. I don't go around telling people "Oh that purple blouse you had on yesterday looked horrible...that is not your colorgreen is y." So why do others feel the need to express their opinions about my look? And my natural look at that. A lot of people have their opinion about how one should look, act or dress but the only opinion that matters in this regard is that of the individual. It has taken me some time to love my natural hair and now that I am truly comfortable with the way God made me no one's opinion of my look can change that. Today is Day 7 of my blow out and I am so excited to see my curls again. No Yaki weave, No Goddess Remy, No Lace Front, No Creamy Crack just Natural Curls Baby is what I am working with! What is the most annoying thing your friends/family/associates have said about your natural hair? Do you have any salon horror stories? Or hairtastrophes?